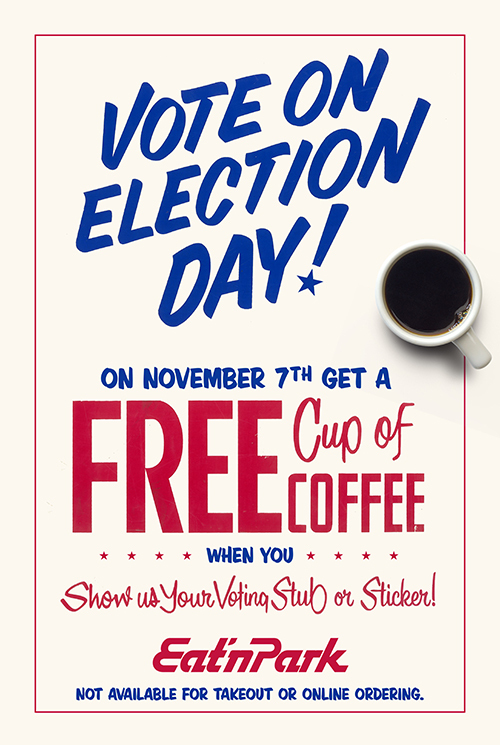 Show us your voting stub or sticker this Election Day, November 7th, and we’ll pour you a hot, steaming cup of coffee on the house! That's a great question! Unfortunately, we will not be offering this promotion for the upcoming special election.